Wonder why Apple only tweaked the innards of the iPhone? 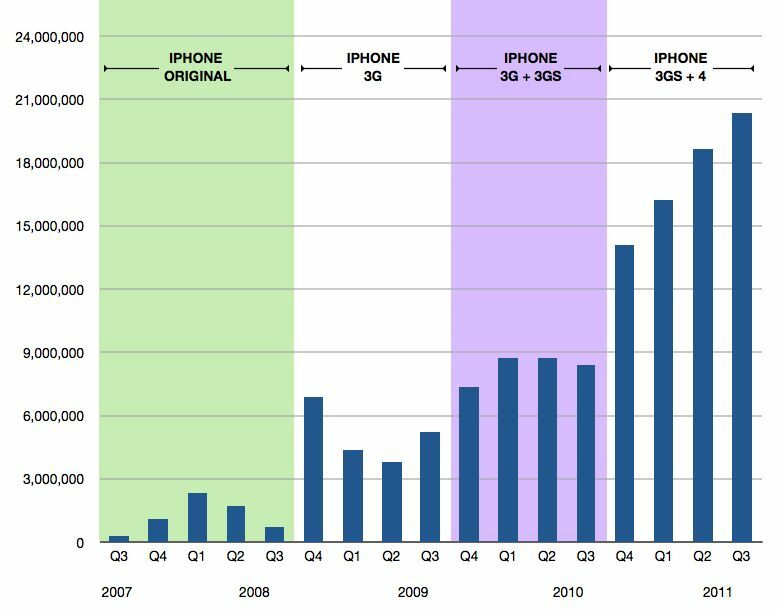 Apple sales of iPhones are up — way up. The table above shows the history of iPhone unit sales; the latest hardware upgrade, in the iPhone 4, launched in June 2010 only four quarters ago, pushing sales phenomenally higher. 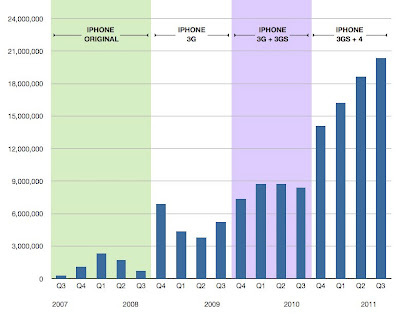 55.2 million iPhones were sold in the past three quarters vs. 25.8 million in the same period a year prior. Sales are nowhere near cresting for the current design, so Apple likely is pacing itself for a hot, thinner iPhone 5 release in June 2012. Sorry you have to wait. It would help if you didn’t buy so many of the current models. I dont like iPhone, I have my Nokia N9 and very glad!